Municipalities are starting to use drones to aid in public participation, increase public safety, collection and documentation, inspecting buildings, and to better visualize proposals. Our services are faster, more detailed, and more precise then traditional airplane or satellite imagery. Here are some ways Emmet Drones can help. Perhaps one of the most powerful use of drones will be as a tool for both city and community governments to aid in public participation. A current map and 3D model of an area used in conjunction with more traditional forms of media used for community engagement can make complex problems more understandable to the public and thus evoke more comprehensive feedback. Urban development requires a lot of planning. Traditional methods and techniques commonly used in the process emphasize data collection, analysis and tedious field work. The greatest challenge these professionals face is collecting helpful on-site information and data. With the use of drones, visualizing land development and measuring plots of land are quick and easy. 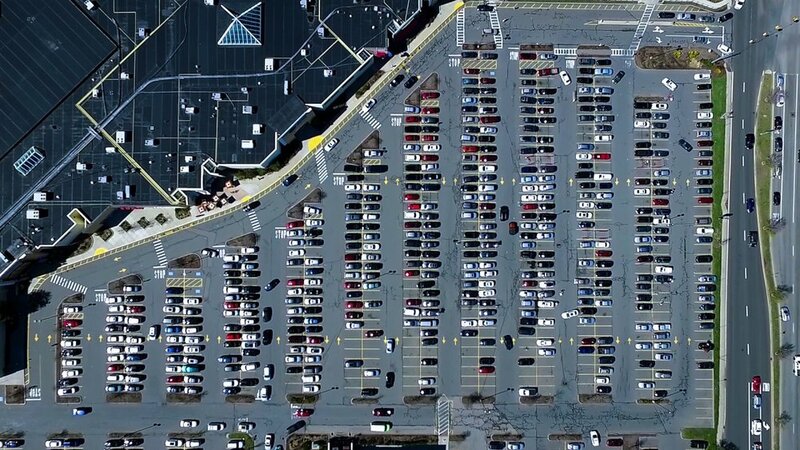 An aerial video or set of photos can provide a wealth of information when it comes to analyzing parking and traffic. Count parking spaces and estimate your parking needs for a specific time of day or season. Analyze the flow of traffic and see why problems arise in the most accident prone areas. Easily update your map data in high resolution. The extremely high resolution orthomosaic maps we produce are geotagged for easy implementation into your current GIS systems. Importing our maps into your GIS software is a snap. The example left shows a measurement of 29.825 feet - from the 0 to 10 yard line. This is a measurement error of 0.583% - or put another way this is 99.4% accurate. Depending on your needs, a map might not always be this accurate. The higher the flight the better the 3d model, but measurements might be less accurate. Over 30 feet, we guarantee a straight line accuracy of 98% or better on every map. Local governments are using drones for aerial mapping, utility and infrastructure inspections and creating 3D models to improve visualization. See how we can help you better serve your community by contacting us today.